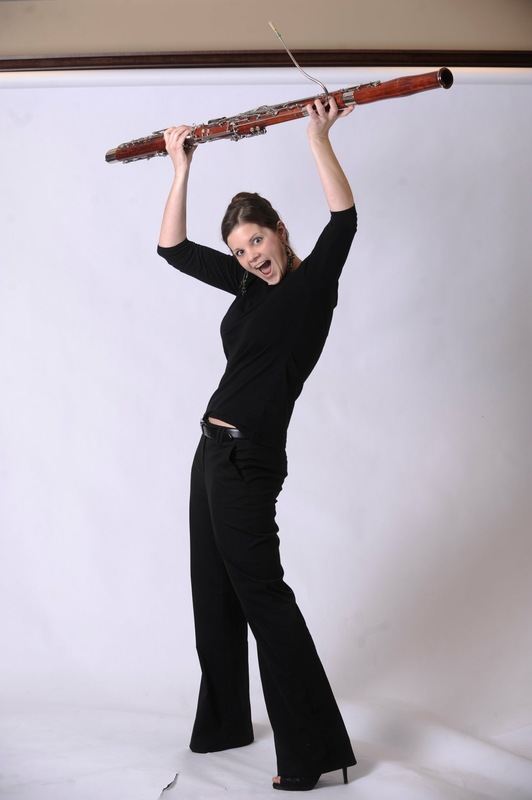 Darcy is our assistant principal bassoon and joined QUO in 2015. I was a member of The Lesbian & Gay Big Apple Corps for about a year, after running into Matthew Hadley (oboe) at an LGBT psychotherapy certification class. Matthew, Charlie Scatamacchia (bassoon section leader), and a ton of other great people in LGBAC were also in QUO, and they invited me to come check it out; and I loved it! Besides the High Line? Come on! Okay, well my SECOND favorite place to take visitors is on a double decker bus tour. In fact, I have been on the tour with my spouse twice, by ourselves, and we live here! I recommend it to residents and visitors alike. Rinforzando (rfz), because it involves a little bit of showing off, but not THAT much, it often confuses people and is kind of hard to explain without demonstrating, and it is one of the few symbols that refer to a type of phrasing; I am fairly certain that the only reason I ever won an orchestra audition was my ability to phrase well, because it certainly had nothing to do with technique. I started in 5th grade, when I was 10 years old. I had been playing piano since I was 5, and had a short stint on the clarinet (what a frustrating instrument; props to Fran, Travis and Aaron) the year before, so I already loved playing music. My 4th grade teacher offered that perhaps if I played bassoon, with my propensity for showing off (but not that much), I would be guaranteed first chair (see, because hardly anyone plays the bassoon). I think she also told my parents it could get me into college, just in case 4th grade was any indication of my future. I ended up with a masters degree in music performance, and worked as a professional musician and teacher for 4 years before I decided that auditions were far too stressful, and decided to become a psychiatric nurse practitioner, the obvious next step. So even though I now have a new profession, I have played the bassoon for 25 years. Question from Michael Shattner: I love the bassoon! What is your personal favorite bassoon solo (or even just a lick) in the orchestral repertoire? Have you gotten to play it yet? Woohoo! Me too! Hands down, Beethoven Violin Concerto, movement 2, measure 135. It is such a short little solo, but so beautiful. I have only gotten to play it ONCE. QUO violinists: please audition for the concerto competition.